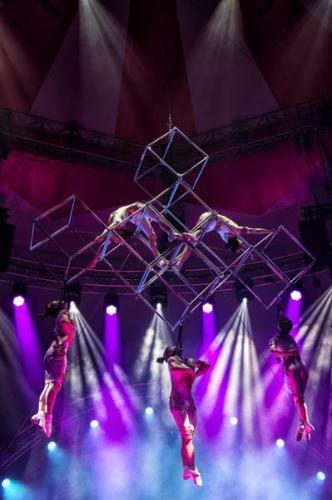 In this dazzling performance, a range of talented aerialists demonstrate highly skilled acrobatics on a giant cube structure that is suspended high in the air. Incorporating a series of amazing acrobatics, the aerialists gracefully perform a series of intricate movements, leaving guests feeling utterly amazed. An exhilarating performance, the Magic cube pours new vitality into high-level acrobatic art creating a lively and inspiring show suitable for a wide range of events looking for WOW factor.